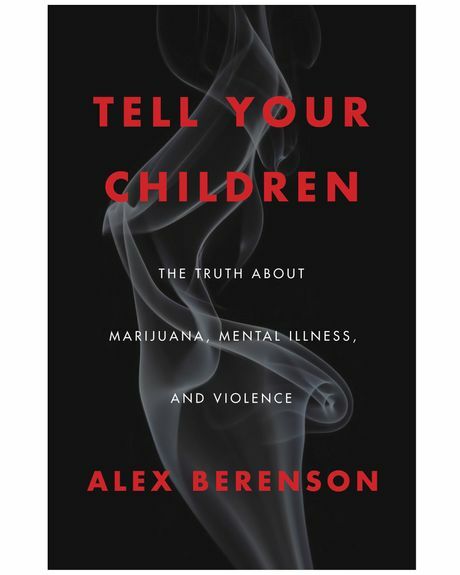 Alex Berenson’s book Tell Your Children: The Truth About Marijuana, Mental Illness, and Violence, has made a huge splash since its publication last week. Berenson, a journalist and novelist, wrote columns pegged to the book in the New York Times (where he used to work as a reporter) and The Wall Street Journal, and got sympathetic coverage in Mother Jones, The New Yorker (in a piece by Malcolm Gladwell), and other outlets. This book was always going to get people’s attention. It takes what is, in 2019, a very heterodox approach to the question of pot use. In short, Berenson believes that many of the true costs of marijuana have been hidden from users, partly thanks to well-funded advocates. Most alarmingly, he argues that heavy marijuana use is linked to psychosis and schizophrenia, and therefore that it’s causing an increase in violence in states where it’s been legalized. His book is replete with stories of users — those with long histories of mental-health and substance-abuse issues as well as those who were healthy up until a sudden, explosive moment — committing horrific acts while in the throes of psychotic episodes he ascribes to marijuana use. Many experts have disputed Berenson’s most important claims. I argued on Intelligencer that the claim of rising murder rates in Alaska, Colorado, Washington, and Oregon as a result of pot legalization is not well-founded. 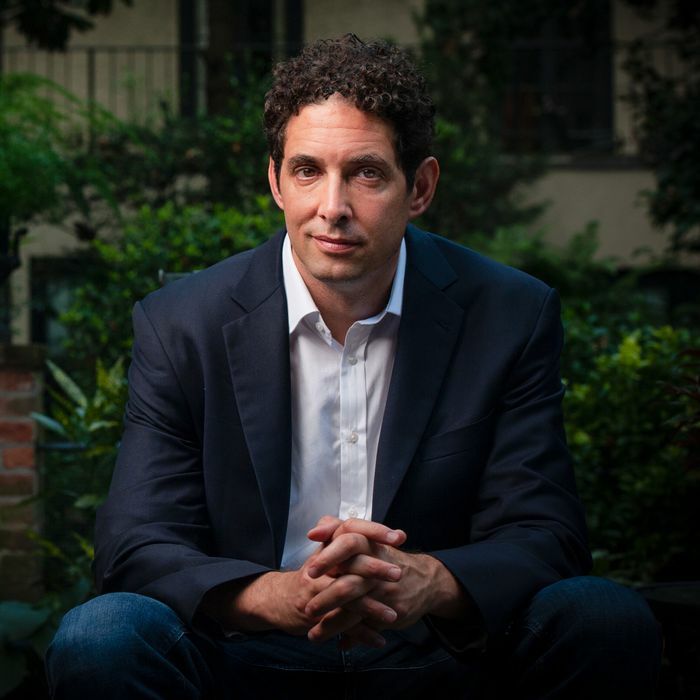 In Reason, Jacob Sullum highlighted research ignored in Berenson’s book which suggests that if marijuana legalization has a net impact on violence, it could run in the opposite direction. On Twitter, Ziva Cooper, research director of UCLA’s Cannabis Research Initiative and a co-author on a major report on marijuana which Berenson cites frequently, argued that he overplayed the pot-schizophrenia link. And the journalist and addiction expert Maia Szalavitz (a New York contributor) wrote a thorough response for Vice. In a conversation for Intelligencer, I asked Berenson about some of the areas where I thought he raised fair points, but also pressed him on his more controversial claims. This interview has been edited and condensed. People at, say, a party, don’t tend to ask about marijuana potency in the same way they’d monitor their consumption of alcohol. Is fixing that just a matter of changing the social norms around pot use? I don’t know the answer to that. I’m not a user. What is clear biologically is that people who use cannabis—some of them use a lot of it—use it in a way that would be lethal if it were alcohol, in terms of the dosing. There are people out there who regularly use 100–200 milligrams of THC a day. That would be the equivalent of 40–80 drinks, which nobody, even a really late-stage alcoholic, could tolerate. So, because pot is not as physically damaging as alcohol, there’s a group of people who like to use really high-potency forms of it. I don’t think it’s about them not knowing what they’re getting. I think they know exactly what they’re getting. I’m also sympathetic to the idea that pot companies have the same incentives as any profit-making enterprise. How do you reverse the trend of journalists and advocates treating them like “allies” because they’re seen as being on the right side of a legalization battle? I think that [they] should go look at the history of tobacco and alcohol companies in the United States. Those companies fight for low taxes, wide availability. You could buy cigarettes out of a vending machine for most of the 20th century. So, the people who run those companies want to make money, and they’re gonna downplay the risks whenever they can. I don’t understand how journalists don’t realize that. You’ve clearly read the book very carefully, and kudos. But I don’t say that I know that that happened in Colorado in 2007. What is clear is that recreational legalization had several effects: It increases use. That is clear from the Colorado data. [It] lowers prices, it increases availability, it drives up heavy use. And it also does let some people who would not have used at all use. Richard Kirk [who shot his wife in a psychotic state after eating a potent candy edible] is an example of this. He told me — this is his self-reported statement — I never bought at a medical dispensary. I was not gonna go get a medical authorization card. But when retail dispensers opened in Denver in 2014, his back was hurting, he stopped at a retail dispensary, and got himself an edible that made him psychotic. That would not have happened in a non-retail-legal state. Similarly, Joseph Hudek [who had a violent episode on a Delta flight after consuming edibles] was not a resident of Washington State. He wouldn’t have been able to get a medical card on his way from Tampa to Seattle to Beijing. He would not have been able to buy in Washington State if recreational sales were not legal. One study from Rand shows that adolescent pot use “dropped a small, but statistically significant amount among eighth graders and 10th graders in Washington following legalization, while no change was observed among 12th graders.” Are you open to the idea that there’s a little bit of complexity to the effects of legalization? The data is pretty strong showing that full legalization increases use and increases heavy use. Now, maybe kids 12–17 are exempt from that because they’re getting their cannabis from a different source. [In Washington, the legal purchasing age is 21]. They’re getting it illegally. But overall, it drives up use. Certainly the data from Colorado is clear on that. And the other thing is, my argument is complicated in terms of marijuana causing psychosis and psychosis causing murder. Marijuana doesn’t cause psychosis in everybody right away. That is obviously way too simplistic. It is also clear it accelerates the development of severe psychosis in vulnerable people. I don’t think that it’s arguable at this point. You can look at really good data that shows that people who use develop schizophrenia years earlier, on average, than people who don’t. Okay? So you’re not gonna see an impact necessarily from rising use in the first six months, or year one. It’s gonna take a little while. But you’re saying you do see it as soon as legalization hits. That’s your whole argument. No, no, no. I’m saying you see it in 2017. Four years after recreational dispensaries opened in Colorado, you see an increase in crime. Sure. I don’t wanna misquote you here, but my sense of your argument was not that there’s legalization and then there’s slow ramping up. You say it right here [in the Times op-ed]: Those states “have seen sharp increases in murders and aggravated assaults since 2014.” You don’t say there’s a period of buildup and then the murder rate goes up. Or am I misunderstanding? I compared 2014 to 2017. That’s where the increase comes from. I do not say that the dispensaries open and suddenly blood starts flooding the streets. That’s clearly not true. To your credit, you acknowledge that you’re making sort of an X causes Y, Y causes Z argument with regard to marijuana use and psychosis and murder. But researchers have looked directly at this very question. Jacob Sullum’s Reason post highlighted about a half-dozen studies that all seem to link legalization to no change or reduction in violent crime. And these studies can factor in different effects pushing in different directions. For example, the impact of breaking up black markets could counteract the psychological impacts you describe. I included studies in the book that I felt were the best. And those generally looked at individual data for individual users with or without psychosis, and were large and had rate ratios. Those are most of the studies in the book. I think that epidemiological studies are weaker than trying to track the behavior of individual people, and that is not an outlier position in the social sciences. If you’ll allow me a more nit-picky objection — but one that I think points to broader potential bias: You quote the researcher Marcus Bachhuber, writing, “The story that people substitute cannabis for prescription opioids is really common. I’ve never seen it harm anyone.” Then you harp on the fact that he said “never,” which you describe as an “advocate’s word.” But 22 pages later, you have another doctor, Melanie Rylander, saying, “In eleven years of practicing psychiatry, I have yet to convince anyone that marijuana is causing problems for them,” which is just another way of saying, “I’ve never convinced anyone of that.” It reads like you didn’t have problems with that second expert using similar language because her argument supports your theory. You know what, that’s a fair point. If Bachhuber’s coming from his personal experience, he’s got the right to say what he’s seen, just like Melanie Rylander. The bigger point in the Bachhuber section is that journalists accepted his findings and have not even noticed that if you go past 2010, the finding disappears. So, that’s the important point. Wouldn’t some of your worries about things like potency be better addressed within a heavily regulated legal-market framework? I think that that’s a nice theory, but unfortunately — and I think Canada is already seeing this a little bit — if you don’t let the market supply people with pure THC products or high-potency flower, and that’s what people want, then you just wind up with a regulated market and a bigger black market. This is clearly a market where users have preferences. Concentrate sales are way up. If you’re gonna have a market where everybody wants to drink Everclear, and nobody is allowed to get it, then you’re gonna have a lot of moonshine. People generally don’t like super-high-potency alcohol, they have to dilute it. That doesn’t seem to be the case with super-high-potency cannabis. People like it. They want to use it. Last question: What do you think is the biggest counterpoint to your claims? I’d say there’s two. One is that we don’t know yet whether cannabis is actually driving the violent crime increases in these states. It clearly drives violent crime, in some cases. But on a population-level basis, I’d say that argument is not proven. What I say in the book is people on the legalization side need to stop saying incorrectly that legalization will reduce or has reduced violent crime. That is clearly not true. I’m sure I’ll be accused of walking stuff back here. I’m not. The book says exactly this. And then the other thing I think people could criticize, people say, “When you bring up this issue, you don’t have great policy answers.” And I suppose that that’s true. I don’t have great policy answers. This is a really complicated question. But what I do think is that we need to start being honest about these risks.